Could Recycling Wastewater Solve California’s Water Problem? California is currently in the midst of a four-year drought. And after record-low snowfalls over the winter, Gov. 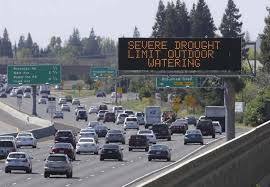 Jerry Brown imposed water use restrictions for the first time in the state’s history. His plan to conserve water includes the imposition of a 25-percent reduction on local water-supplying agencies. This means residents will have to adjust their water consumption during everything from showering to watering lawns and washing cars. Charles Haas, PhD, a professor in Drexel’s College of Engineering and head of the Department of Civil, Environmental and Architectural Engineering, has been part of a National Water Resources Institute committee that, for the last two years, has been monitoring California’s water use problems and looking at the feasibility of reusing wastewater as a possible solution. When people talk about water reuse, what does that actually mean in terms of how the treated wastewater is used? One thing to understand is that when we look at water reuse, the vast majority would not be the water you drink and cook with. Right now, in a conventional system, we distribute about 100 gallons per person per day. Of this only about one gallon is used for direct consumption and preparation of foods. Another 10-20 gallons is used for showering and bathing. So most of the water we use is not actually for direct ingestion or contact. It is entirely possible to replace common uses such as toilet flushing, lawn and garden watering, and car washing with recycled wastewater that is not treated as extensively. Some water could be given higher levels of treatment and with that, we can produce water that meets acceptable quality levels for human consumption. But most of the reused water would not be for this purpose. What sorts of upgrades must happen to make water reuse feasible? What kinds of treatment must wastewater undergo to make it useable again? To do some combination of these strategies—treating water for both general use and for drinking/cooking—frequently a dual pipe plumbing system is needed in individual buildings and throughout the community. One pipe is for water treated to lesser standards, the other is for water treated as needed for direct consumption. So it would require running a new line of pipe from the treatment plant to the reservoirs and individual buildings. Obviously this is easier to do for new developments rather than retrofits. At the treatment plant-level, the process of treating water to be reused for consumption includes several stages of membranes (including reverse osmosis) and likely activated carbon, chemical oxidation and disinfection. Often there is also an intermediate period of storage either below the ground or in a surface reservoir. These processes go beyond what is usual for conventional treatment. Have systems like this worked in other areas? Planned non-potable reuse in the United States goes back to the 1920s in Arizona. Larger systems and potable (water for drinking and cooking) reuse systems started appearing in the 1970s, in California, Texas, Arizona and Florida. Recently, Singapore completed a very large potable reuse plant that meets 30 percent of the national water demand. There is a long track record, therefore, of success, with little evidence of problems resulting. How much water could feasibly be reclaimed and treated for reuse? How long might it take to implement a treatment system for water reuse and at what cost? If one needed to design and build such a plant from scratch, assuming no political objections were raised, it could be finished in perhaps five years. What risks are inherent to essentially ‘speeding up’ nature’s hydrological cycle? Without natural barriers interposed, there needs to be much more careful monitoring and control of the operations of the system, and detailed planning for actions to be taken when something malfunctions – typically a high level of redundancy is also designed into the system. Do you see this as a last-resort scenario? Or something that needs to happen, regardless of other changes, for California to sustain its current population going forward? 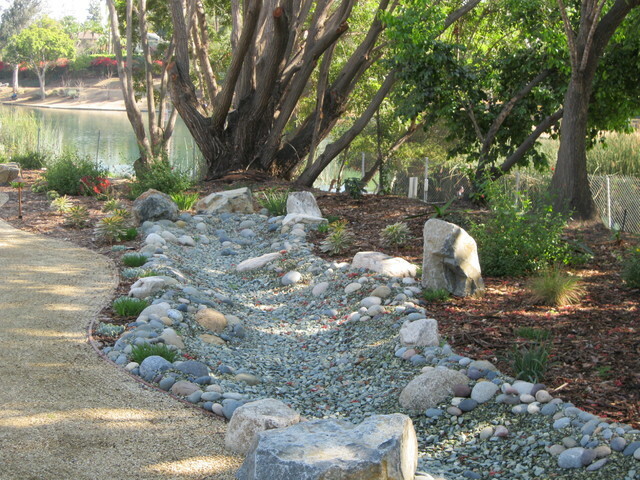 Drought-resistent lawns are just a small part of Californians’ effort to minimize water use. Of course, rigorous conservation is needed, but reused wastewater can be a reliable and acceptable source beyond that supplied by conventional supplies. Something interesting to note is that unplanned reuse of wastewater has been happening for a long time. Right here in Philadelphia we take water from the Delaware and Schuylkill River at times, and neither would be considered pristine sources. Frequently reuse, including to levels needed for potable supply, is a more inexpensive, environmentally sustainable and less energy-intensive alternative than ocean desalination. So I definitely wouldn’t categorize it as a “last resort.” It is already happening and it will be happening more in the future.